This year's Lytle Scholarship Concert will include a performance by the Second Avenue Klezmer Ensemble. Each year since 1996, the Lytle Scholarship Concert has brought together talented local musicians to support the dreams of first generation college students who attend the University of California San Diego. For over two decades, audiences have enjoyed diverse compositions, from classical to jazz and gospel. This year’s concert, open to the public, will be held at 3 p.m. on Sunday, Jan. 27 and feature performances blending the Jewish folk traditions of Eastern Europe with songs of the Yiddish theater and Broadway. All proceeds will support undergraduate scholarships at UC San Diego. Lytle is a founder of The Preuss School UC San Diego, a charter middle and high school for low-income students who strive to become the first in their families to graduate from college. He started the concert to raise funds for graduates of Preuss who go on to attend UC San Diego’s Marshall College. Dozens of highly motivated students have benefitted from the support, including senior Samar Mashni, a chemistry major and ethnic studies minor who aspires to attend graduate school and conduct research. 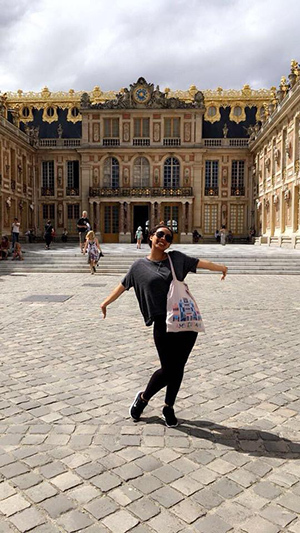 UC San Diego student Samar Mashni. Titled “Jewish Music from Bessarabia to Bowery to Broadway,”this year’s event will open with a performance by Cantor Mark E. Childs and his son, David Samuel Childs. A UC San Diego alumnus, Mark is a nationally touring concert artist and has served as cantor of Congregation B’nai B’rith in Santa Barbara since 1991. David graduated from UCLA in 2016 with a degree in vocal performance and is a cantorial intern at the Sinai Temple of Los Angeles. 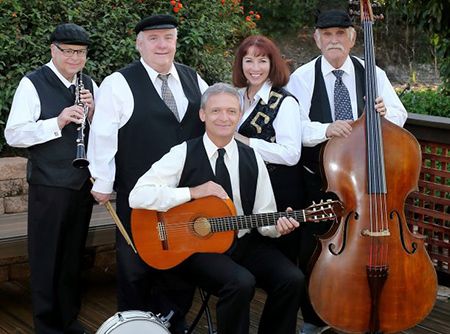 The event will also feature the Second Avenue Klezmer Ensemble, comprised of a group of five San Diego-based musicians who are passionate about the revival of Yiddish musical tradition. A Hebrew word, “klezmer” refers to the musical instruments used by Jewish folk musicians as far back as the middle ages in Eastern Europe. Brought to New York by immigrants in the early 20th century, the genre has adapted to become a foot-tapping fusion of American jazz and swing, Yiddish vocal music, Hungarian Roma melodies and more. Members of the ensemble include clarinetist Robert Zelickman, who formerly lectured at UC San Diego on Jewish music; singer Deborah Davis, a UC San Diego alumna; bassist Bertram Turetzky, UC San Diego professor emeritus of music; guitarist George Svoboda; and drummer Bob Weller. UC San Diego Department of Music Professor Emeritus Cecil Lytle. An internationally renowned classical pianist, Cecil Lytle will also perform. He is considered an expert in the performance of 19th and early-20th-century music. Over a span of three decades, Lytle taught music at UC San Diego, served as chair of the Department of Music and helped shape UC San Diego’s Thurgood Marshall College as Provost for 17 years. 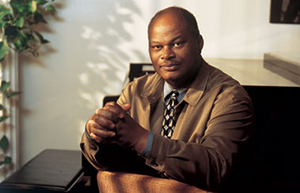 In addition, he has led a career as a recording artist and performer on television and radio; in 1996, his public television series, “The Nature of Genius,” was nominated for an Emmy award. The Lytle Scholarship Concert will be held at 3 p.m. on Sunday, Jan. 27 at the UC San Diego Conrad Prebys Concert Hall. To reserve seats, please call (858) 534-8568 or email promise@ucsd.edu. General admission is $50; active and former military are $40; and $10 for students from all schools. For further information, click here. One hundred percent of donations benefit the Lytle Scholarship Endowment, providing scholarship support for Preuss School graduates attending UC San Diego. Your support of the Lytle Scholarship Endowment also supports the Campaign for UC San Diego — a $2 billion university-wide comprehensive fundraising effort to transform the student experience, our campus, and ultimately the way humanity approaches problems and develops solutions.